Today the wonderful Megan is here to share a delicious (and healthy!) summer treat with us. If you're a regular reader you know that I love to share bits from Megan's blog here...she has such a knack for making things look so beautiful! So if you haven't already hopped over and become a fan of Freckled Italian, be sure to do so (and then check out her Instagram while you're at it). Thanks so much for contributing such a wonderful-looking treat, Megan. Can't wait to try it out. Summer is here! What better way to celebrate than with homemade ice cream? I have to admit that I've never actually made ice cream, so this was a fun little culinary adventure. I adapted this Martha Stewart recipe--using coconut instead of dairy and honey instead of regular sugar--to make it Paleo-friendly. 1. 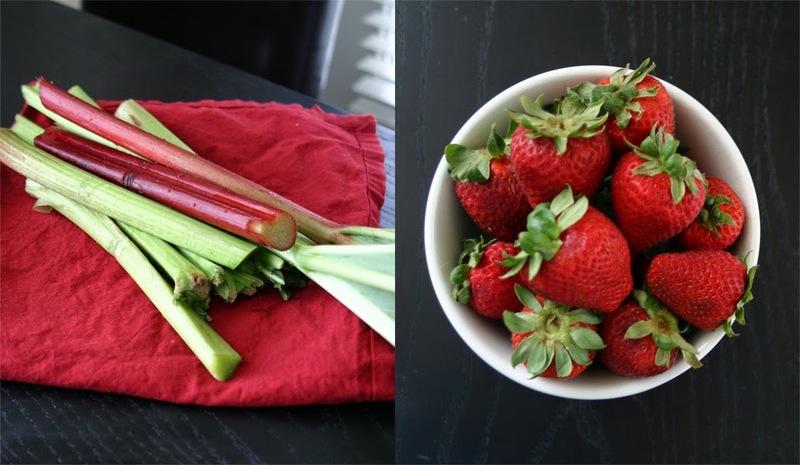 In a saucepan over medium heat, combine chopped rhubarb, honey, and water. Bring to a boil and simmer for about 20 minutes, until rhubarb is broken down and all ingredients are well-combined. Set aside and let cool. 2. 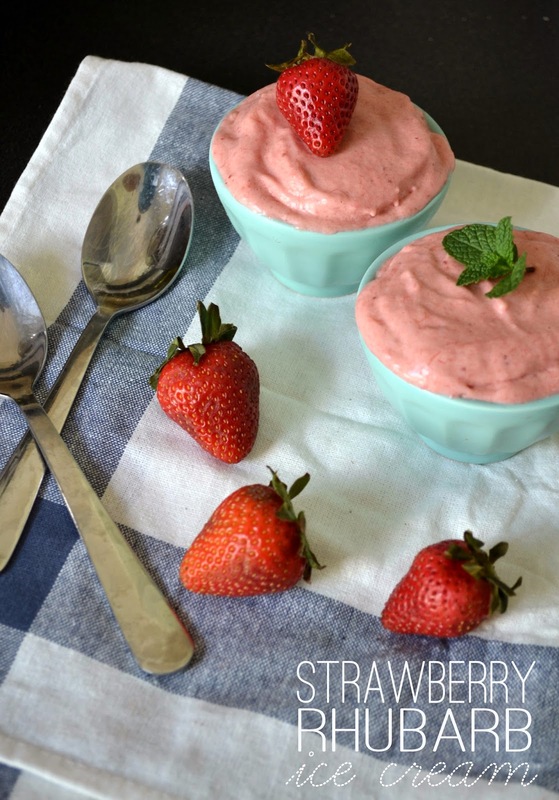 Puree strawberries in a blender or food processor. Strain to remove seeds and combine with coconut cream and milk in a large bowl or container. 3. Add cooled rhubarb-honey mixture to the strawberry-coconut mixture and refrigerate overnight (or for at least a couple of hours). 4. Freeze in an ice cream maker and enjoy! This just sounds amazing - perfect for summer! I know, right? When she sent it over I was so excited. I can't wait to try it. Oh man, I'm such a sucker for coconut milk, water, and ice cream. I'll be it gives this dessert an even tastier flavor than actual ice cream! It looks delicious. I totally agree! I feel like the coconut milk makes it taste even richer! So good. I just made raspberry cardamom ice cream with coconut milk! It's so freaking good. This will be next on our list. Oh YUM! That sounds amazing. Do you have the recipe handy? I actually made my first foray into the world of homemade ice cream on the weekend and it turned out pretty good. It's actually winter where I am but I consider ice cream an all year-round staple...will have to give this recipe a go as it looks so delicious! I've never worked with rhubarb before, but this looks amazing! Thanks for sharing! Never had rhubarb before but this is tempting me! Yum! This looks and sounds amazing! Going to have to give it a try!